We had requested a double bed & our unit had two single beds. We liked our balcony & everything was OK. Quiet location with a rural feel though close to the beach, very good restaurants & cafes. Very cosy place and patio. Close to town. Quiet. Very big and clean apartment, enough equiped, great balcony and view. Very quiet, just us and sea / waves :) Maria exceptional helpful host! Value for money. 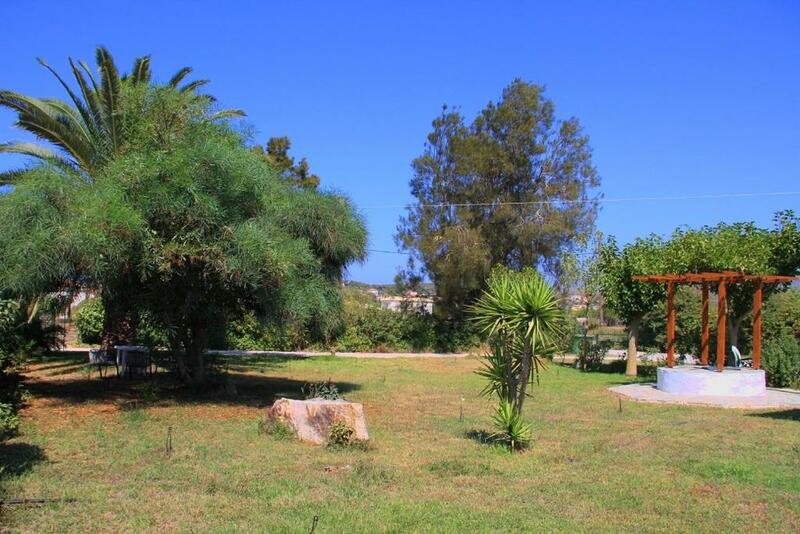 Very close to archeological site, to town and beach. Best place in Methoni! Very big apartment with nice kitchen and great balcony. Maria and her husband were very nice and helpful host. WE had a 2 bedroomed apartment, which is a good size. The washing machine was very useful, but sadly it rained a lot over 3 days, so drying the washing proved difficult. The apartment was well equipped. The apartment is a 15 min walk from the town. The best place with the best host!Thanks Maria for our dream vacantion!!! Good private parking at the premises. The studios are big, comfy and have fully equiped kitchen with lots of kitchenware. Nice balcony overlooking the sea and the Methoni castle. Around 100 meters from the beach, but there is nothing to block the view. You can get to the centre of Methoni by foot in 5-6 minutes. The owners are always there at the reception to meet your needs. They are very kind. 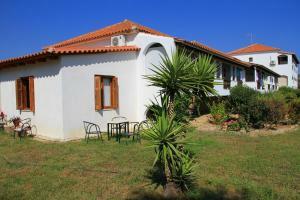 A wonderful place to stay in Methoni! We were lucky to be given an apartment on the top floor of the newer block. We loved the large well-furnished balcony with a view across a scrubby field to the sea and across farmland. We liked our host, Maria, who was kind and wanted us to be happy. The shower was good and there was plenty of hot water. Lock in a great price for Ilias Apartments – rated 8.8 by recent guests! One of our best sellers in Methoni! 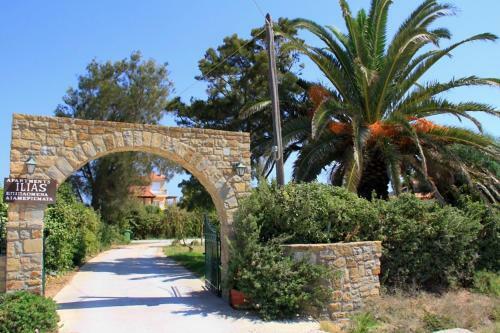 Ilias Apartments is surrounded by gardens just 350 feet from the beach in the scenic town of Methoni. 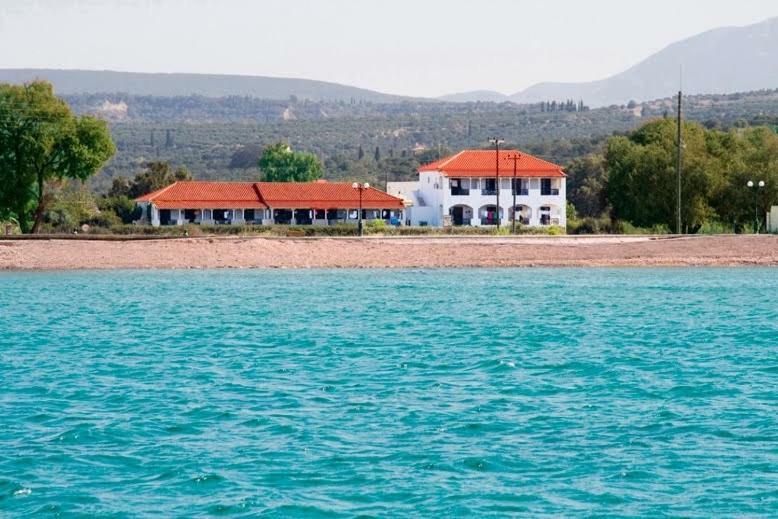 It offers self-catered rooms with a balcony overlooking Bourtzi Castle and the Ionian Sea. 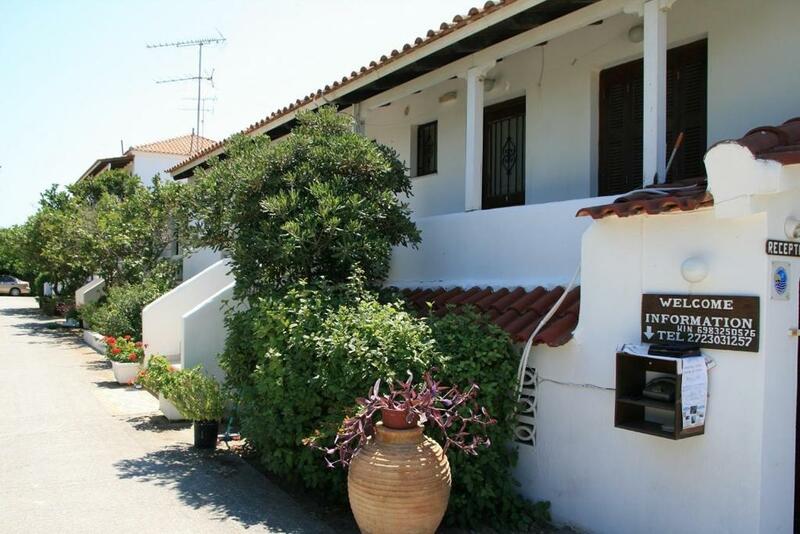 Apartments and studios at the Ilias are equipped with air conditioning and TV. Each has a well-equipped kitchenette with fridge, coffee maker and small oven with cooking hobs. Guests can relax in the large garden with the palm and pine trees that is also ideal for safe play. The Venetian Bourtzi Castle is just 1,000 feet from the property and the town market is at 1,300 feet. Foinikounta Beach is at 6.8 mi and the town of Pylos with the famous fortress is at 7.5 mi. Free private parking is available. When would you like to stay at Ilias Apartments? Air-conditioned studio with kitchenette and TV. Larger apartment with 2 bedrooms and kitchenette. House Rules Ilias Apartments takes special requests – add in the next step! Ilias Apartments accepts these cards and reserves the right to temporarily hold an amount prior to arrival. Please inform Ilias Apartments of your expected arrival time in advance. You can use the Special Requests box when booking, or contact the property directly using the contact details in your confirmation. The bins should be emptied more frequently. It was the most uncomfortable bed we've ever slept in (and we've travelled a lot!) Our first two nights were quiet but when the adjacent apartments were occupied the following night the plumbing noises kept us awake. The kitchen facilities were cramped and basic but the fridge was good! There were no insect screens on the double glass doors to the patio. No doubt there were some things that were not absolutely perfect, but cannot think of anything! !